A group that has been focused in cadence business development for the past three years, booking thousands of meetings that have yielded millions of dollars in business. We use cadence technology to create business development meetings where the product or service is able to be demonstrated and sold. We service businesses across the globe. Our seamless communications allow us to be a virtual part of your team, yielding more meetings. We take your existing list of contacts and build a timed email and calling timeline, called a cadence. This cascade of calls and emails are timed to perfection as to create an efficient process to create booked appointments for your sales team or business development directive. Business development is being created for companies across the globe. They key is to reach any potential customer with a value proposition. 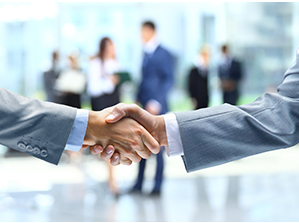 The technical aspect of cadence business development is the ability to use the expertise of the process to effictively communicate the value proposition. We are focused on you. Your business depends on our ability to produce a quality cadence and we are committed in doing so. We have the experience in multiple industries and have found that there is a tie that binds them all together. The knowledge of our industry give you the ability to succeed. QUESTIONS ABOUT CADENCES SERVICES? ASK OUR EXPERTS. They are very honest, they are people that stick to the facts, they have an incredible drive to get things done, they are motivated and committed to your goals. I think they take the time to listen to needs and want and help customers prioritize them. The energy is contagious and they are hard workers who aren’t afraid to get their hands dirty. We work as a single united team with companies around the world and give our clients the highest quality service possible.